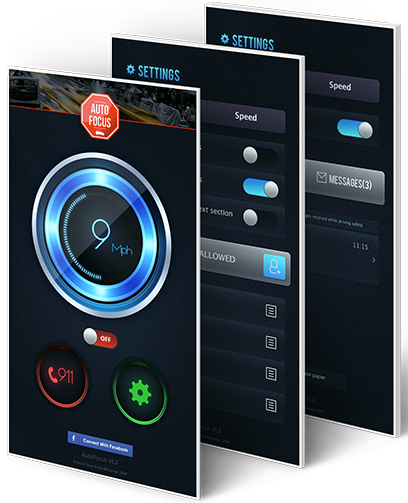 Autofocus | Choose how you want To control your phone on the driving. AUTO FOCUS helps drivers avoid distractions caused by their mobile phones. The application leverages GPS to launch automatically when the vehicle exceeds a pre-set speed. Prevents outgoing text messages, emails and phone calls while driving. 78% of teens and young adults say they have read an SMS message while driving. 71% of teens and young people say they have composed/sent SMS messages while driving. 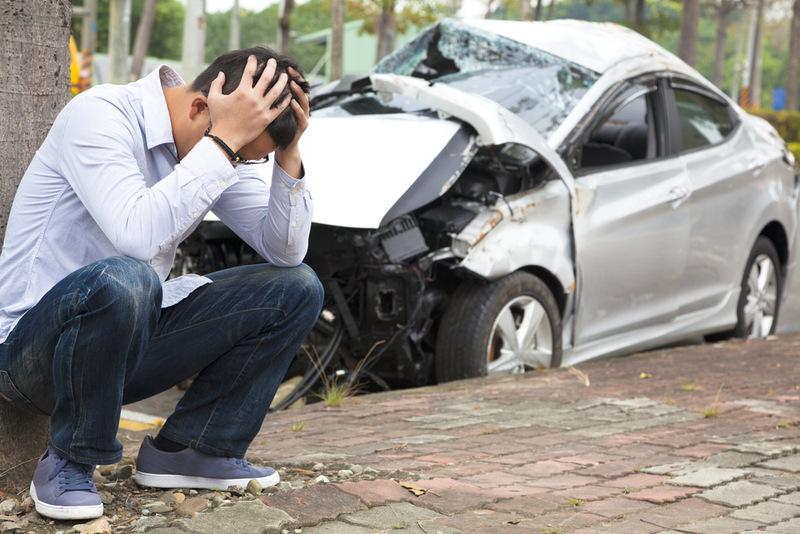 Drivers in their 20s make up 27 % of the distracted drivers in fatal crashes. 5 seconds is the average time your eyes are off the road while texting. When traveling at 55mph, that’s enough time to cover the length of a football field blindfolded. Once the speed is considered « dangerous« , the gauge goes « red » and Autofocus automatically blocks incoming calls, text messages and the various activities of the smartphone. The user can himself set the speed Autofocus starts blocking mode. 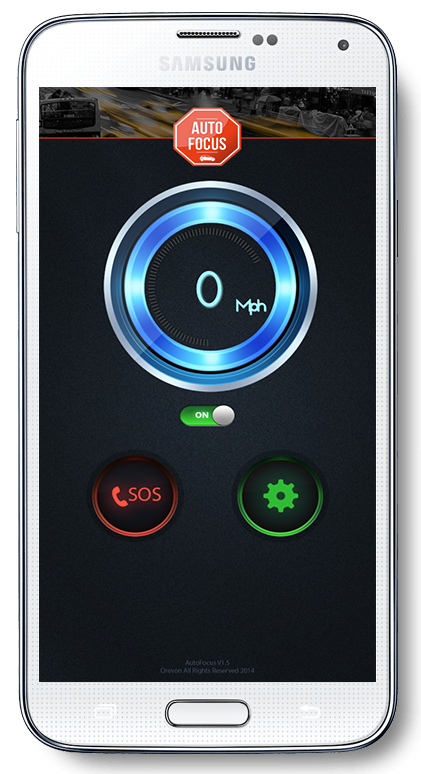 Autofocus responds to calls for you (while leaving the silent phone), and warn your contacts that you are currently driving. If you receive SMS while you are driving fast, (again, the driver will not be disturbed) Autofocus will automatically store the SMS in a secure area of the apps so you can see them when you exit your vehicle. This is the BEST app on the market in my opinion…Reliable and efficient… This will go a long way in providing safety for my family and friends and for YOURS too! Spread the word… The AUTO-FOCUS app is here to stay! Awesome! Was waiting for this app for my kids for long time. Works like a charm and super reliable. The speed check is well done. Great app for those like me worried about their kids testing and driving. Now I feel safe. Thanks.